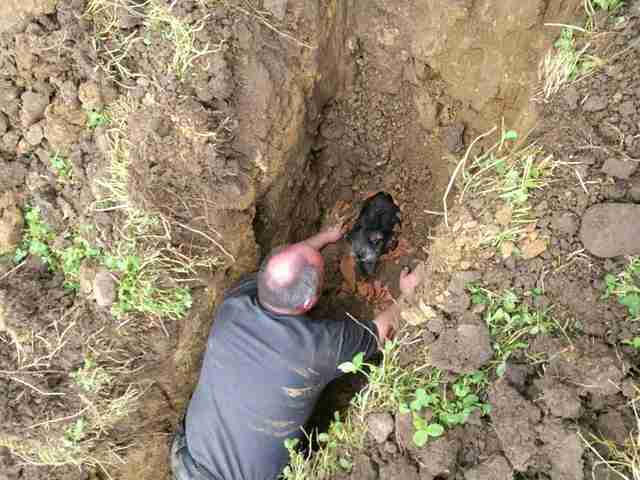 Ziggy was running around on his family’s farm with his mom when he suddenly found a drain pipe in the ground — and disappeared down into it. 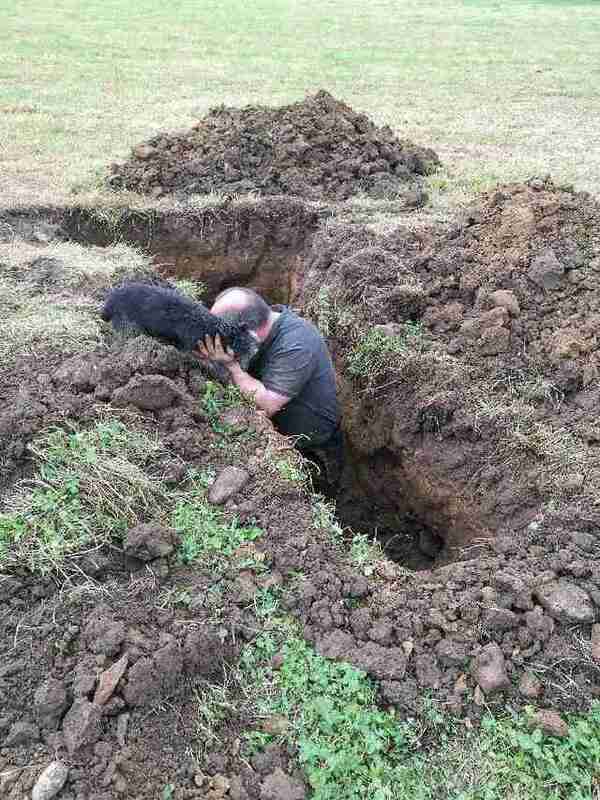 At first his mom wasn’t too worried, as this was the third time the 10-year-old Patterdale terrier had disappeared into a hole, chasing something or just exploring. But after calling his name and waiting for him to resurface, he never did, and she began to panic. 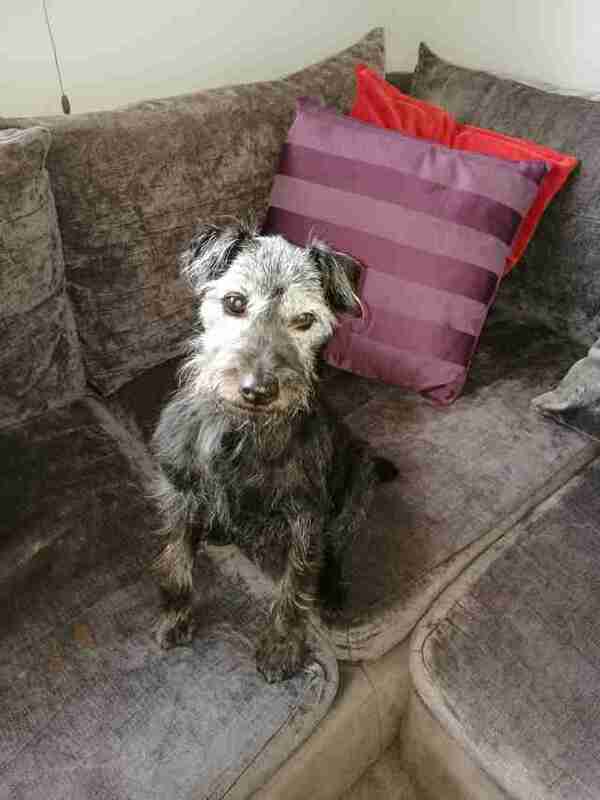 Flintoft contacted the RSPCA in hopes that it could come and help rescue Ziggy from the drain pipe. Once rescuers arrived, the group was able to map the underground pipes and dig two huge holes to try and uncover where Ziggy was. 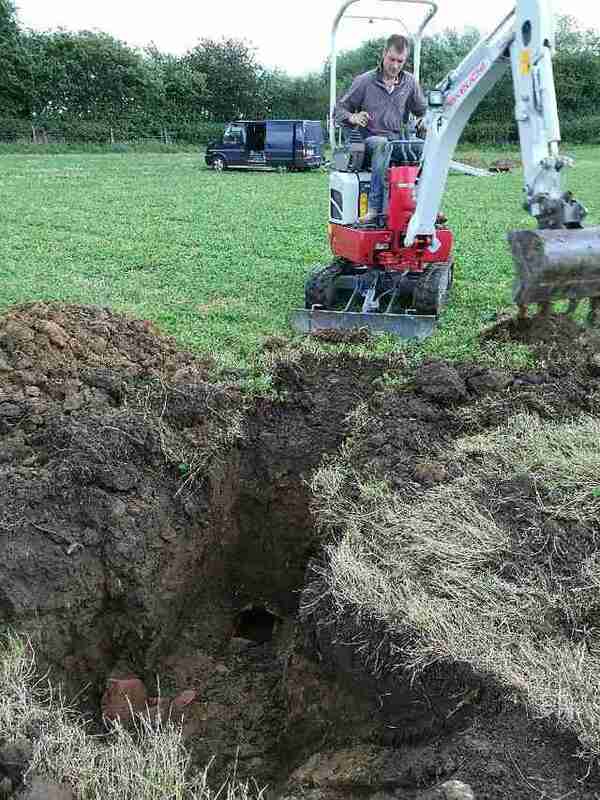 Finally, they spotted him, and after they removed a little extra clay and soil, the lost pup was able to wiggle his way out of the hole. 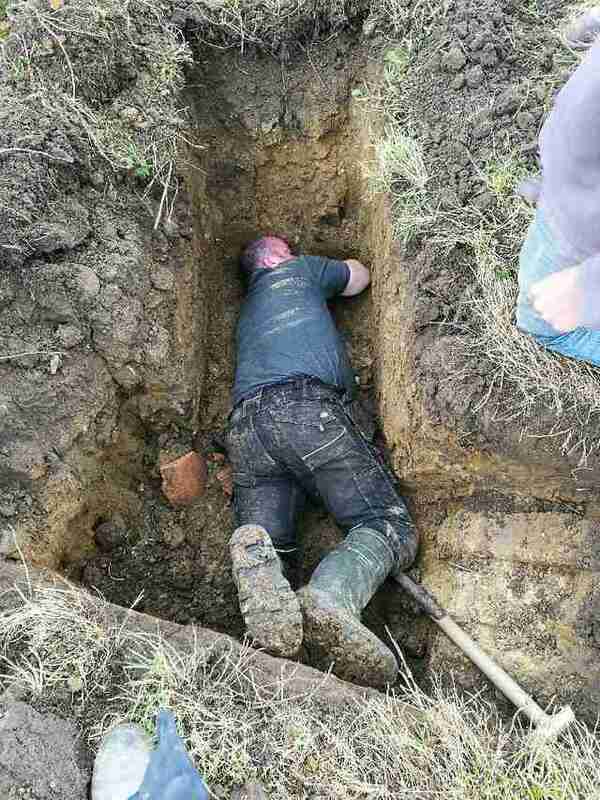 By the time they got to him, Ziggy had been stuck in the drain pipe for a whopping 19 hours. Luckily, Ziggy wasn’t injured, and emerged from the hole completely fine, just a little shaken up. He’s doing just fine, and hopefully will refrain from any more hole-exploring adventures in the future — but probably not.